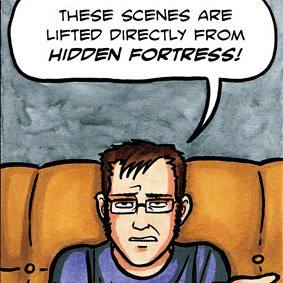 Part Two collects chapters 6-10 of the story. Right now I’ve only published up through chapter 8 online, so you get to READ AHEAD, you naughty things. Why is the release date for Amazon right now and the Gumroad release is delayed? Well, simply put, my copies aren’t scheduled to be delivered until the 16th, so that’s when I will have them to distribute. I decided to set the digital release for the same day to keep things kinda sorta consistent. As far as ComiXology goes, I just yesterday got the notification that it was accepted for their Submit platform, so it’ll probably be a few weeks yet before it’s available there. But if that’s your preferred platform, know that it is indeed coming. The first convention where the book will be available for purchase is TCAF, as part of their announced list of debut books. Neat! 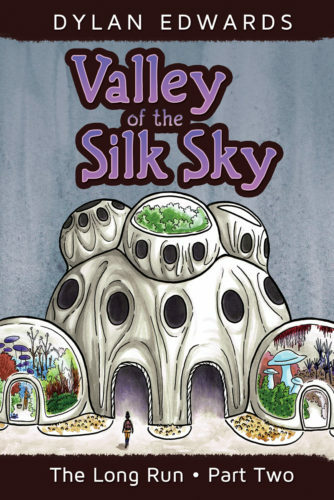 Anyhow, see you next week for the commencement of Valley of the Silk Sky chapter 9, and news about DiNK, which is coming up April 14-15. Stay tuned!